“We’re taking this step to protect our seniors from fraudulent use of Social Security numbers which can lead to identity theft and illegal use of Medicare benefits. The CMS is removing Social Security Numbers from Medicare cards to prevent fraud, fight identity theft, and keep taxpayer dollars safe. 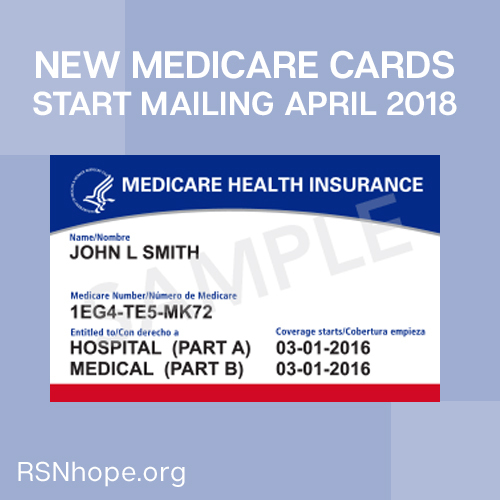 They’ll mail the new Medicare cards from April 2018 through April 2019. Starting in April 2018, CMS is mailing new Medicare cards to all people with Medicare on a flow basis, based on geographic location and other factors.